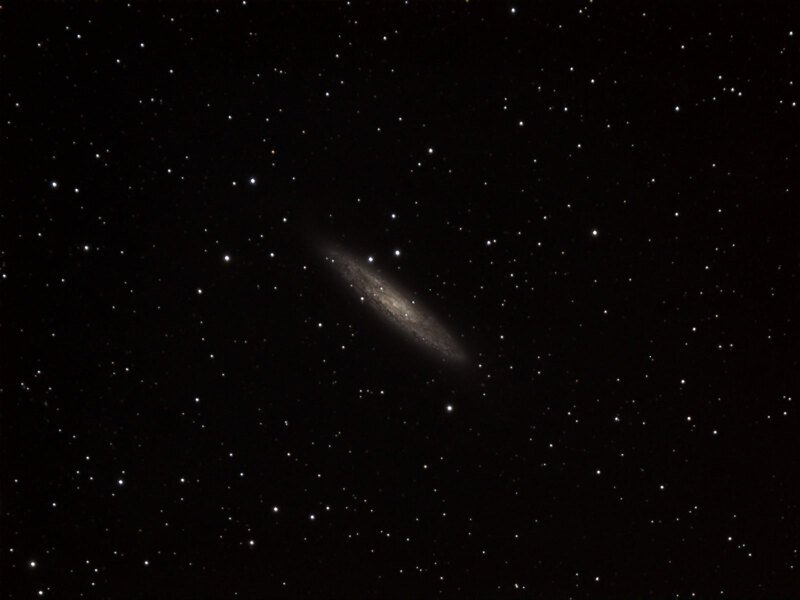 During one of my idle moments at work, I was browsing the Stellafane website, which I have not done in a while, and discovered that they have made an excellent set of plans for making a classic Dobsonian. The adjustable cradle is especially nice. I plan to build an 8″ scope for my friend this way and also may build a 6″ scope which I have a few of them laying around. Once I received the new struts and ball socket joints from Moonlight Focuser, I cut them to length and attached the ball joints to the ends. I then attached the socket joints to mirror box and adjusted them from three socket joint sets to four on the upper assembly. Test fitted everything and it makes a nice solid unit. After a trip to the hardware store, I then attached the mirror cell to to the mirror box. 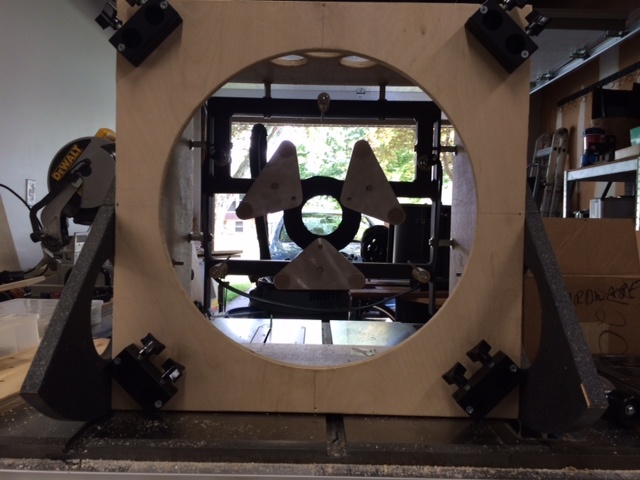 I used a combination of threaded standoffs and washers to center the mirror cell. Today I worked on attaching the old bearings to the new mirror box. Looks like it works pretty well in the existing rocker box. However, I noticed that the clearance between the center pivot of the rocker box and the corner or the mirror box is pretty tight (about 1/4″ of an inch). 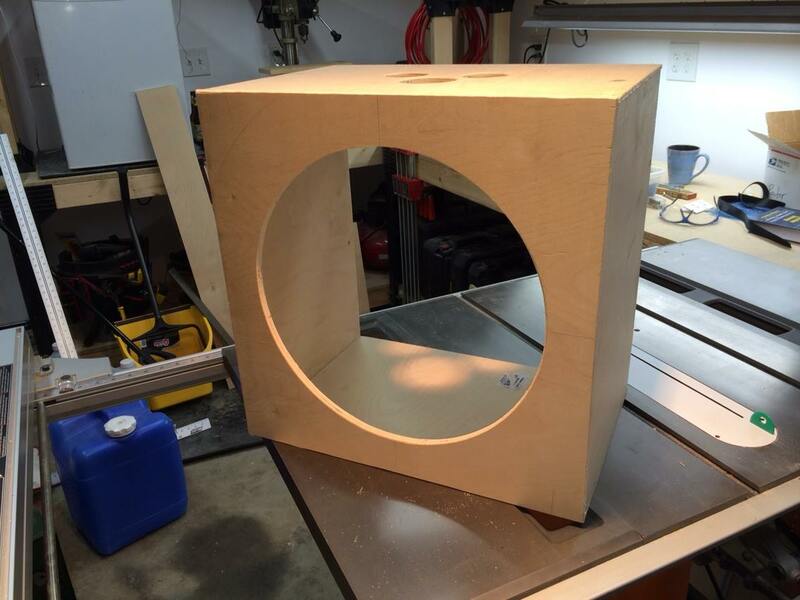 So I will not be putting digital setting circles in this thing until I build a new rocker box. I also did a quick check on centering the mirror cell in the mirror box. 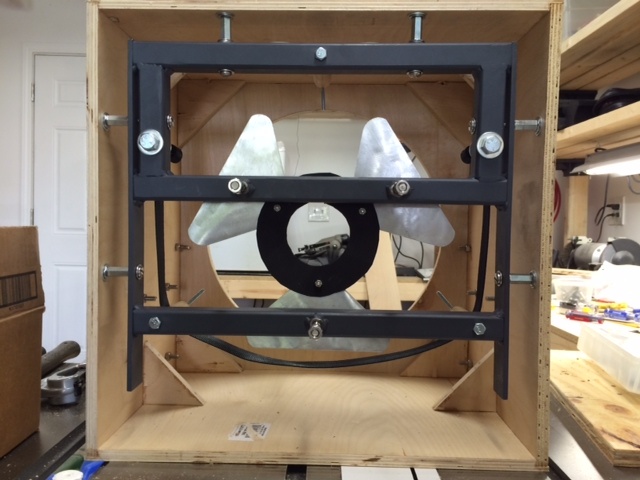 As you can see, the mirror cell was built for a smaller mirror box, but I will make it work with some metal standoffs! Lots of activity on the sun today. 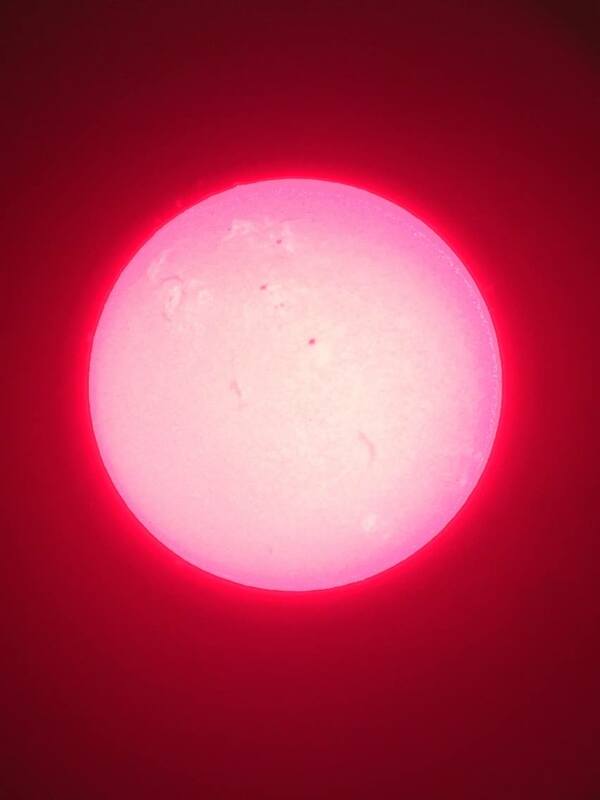 Using the Smartscope adapter borrowed from the club, and my iPhone, I took a couple of snapshots of ol’ Sol using the PST. 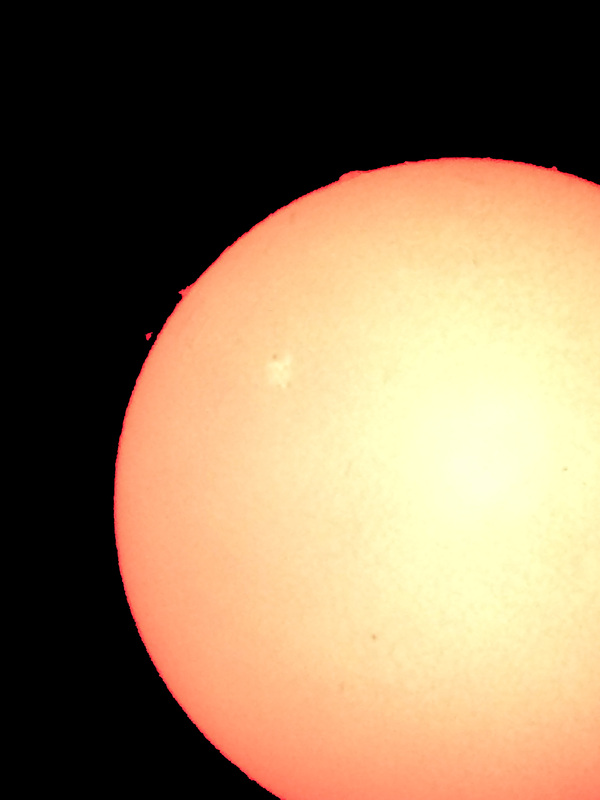 Lots of sunspots and filaments. After a two year hiatus, only because I was working on getting the woodshop finished, I am back to telescope making. During my absence, I was contemplating on what I will be working on next. 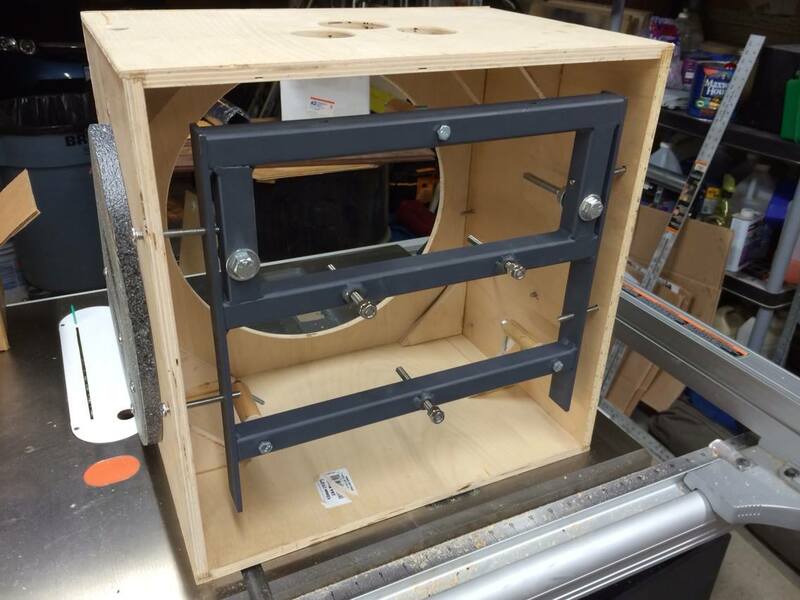 One of those things is redoing my 12.5″ mirror box. I also wanted to get it done before the Black Forest Star Party coming up in August. The current mirror box presents some challenges. For one, most of the mass is on the forward side of the box. This causes some interesting balancing challenges. The second challenge is the use of six struts instead of the typical eight. 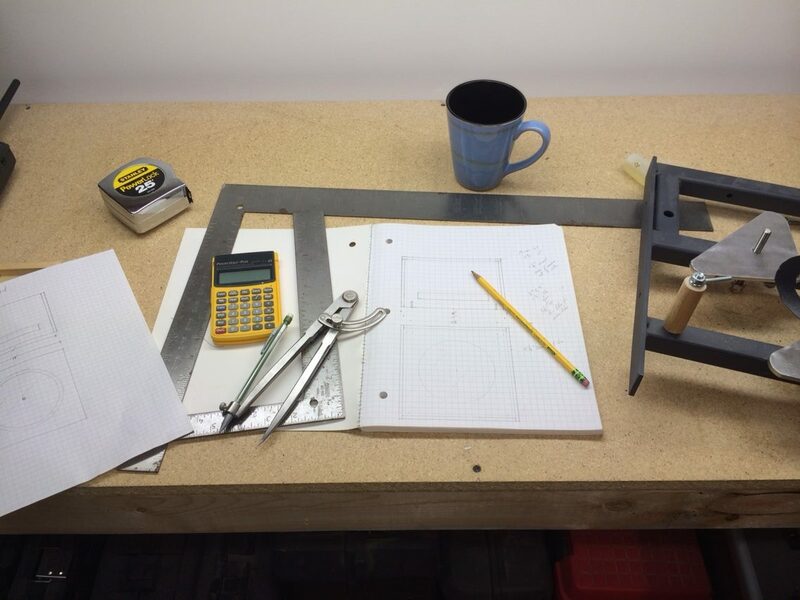 Using my new wood shop, I sat at the workbench and began drawing up my plans. I like to draw out my ideas. It seems more organic to me. Many like to use a computer to do this and I have in the past, but drawing it seems to work out best for me. So using a compass, a pencil, a ruler, and some graph paper, I proceeded to work out my design. I wanted to reuse the current rocker box and bearings so I essentially made the new mirror box the same size. Being 18″ by 18″ by 12″ it is a bit large for a 12.5″ mirror but I am not too worried about it. 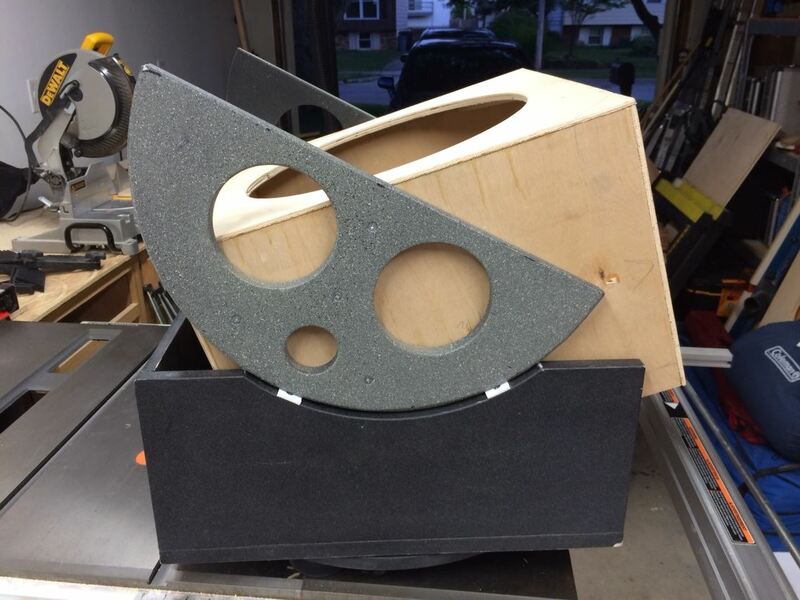 When the club made a new 16″ telescope, I wanted to model my mirror box similar to what one of our members did with the mirror box. I created some rabbet joints for a better joint and glue surface. I used finishing nails to tack it together. The mirror box assembled quite well and it is square. 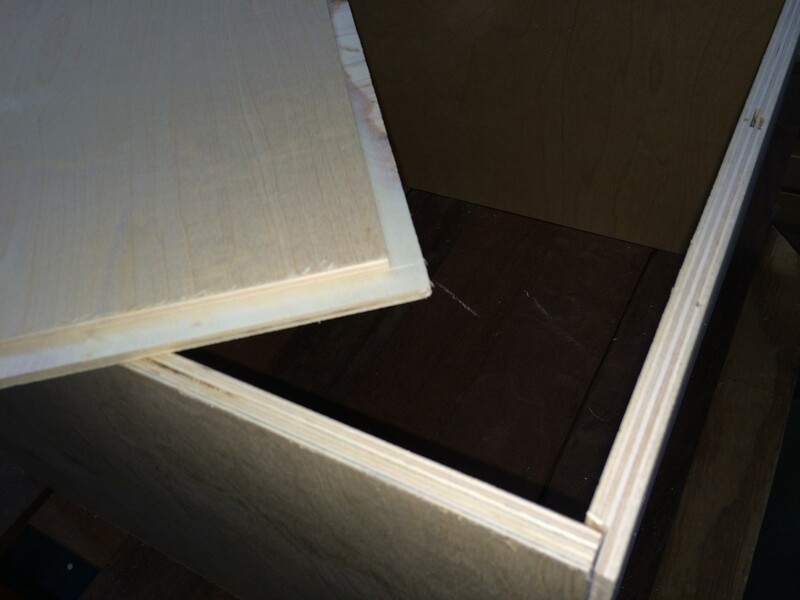 I am using 1/2″ baltic birch plywood and plan to be adding some light baffles for added strength. 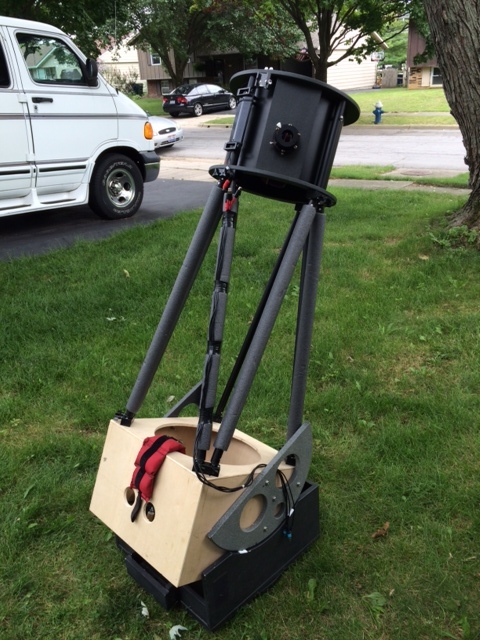 The mirror cell was made for me by a fellow club member and telescope maker (thanks Tim!) It was designed for a Kriege style mirror box but I am going to adapt it for my use by using metal spacers. The holes are already cut for this on the sides of the mirror box. 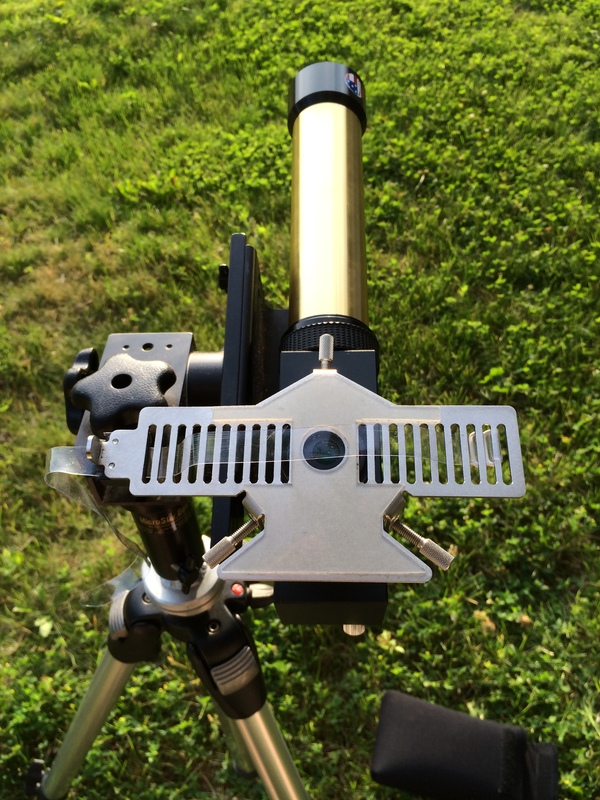 Rob Schorr, the maker of the “Smartscope” adaptor, generously donated one of his products to the Columbus Astronomical Society. I borrowed it to take it for a spin. It is a pretty nifty device. It allowed me to easily attach my iPhone 5s to my PST. I have been wanting to take some pictures in this way. The only downside is the iPhone is not great for taking detail shots. 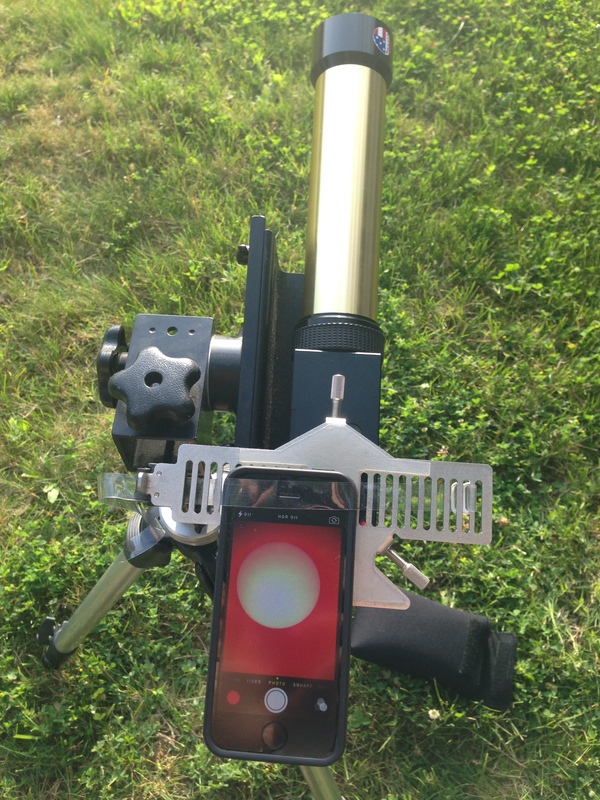 However, for a quick setup to take snapshots, the iPhone and the Smartscope adapter is a nice pair. I plan to try it out in the future to take some shots of the planets and the moon.